The biggest story to come out of the UK this week was the grudge match between Manchester United and Liverpool, but more importantly Luis Suarez and Patrice Evra. This was the first time the two players had faced off since Suarez was banned for eight matches for racially abusing the Senegal born Evra. In the moments before the match Suarez refused to shake hands with his rival, despite Evra grabbing the Uruguayan’s arm in an attempt to force some decency into the Liverpool striker. Karma smiled on the Red Devils and they prevailed 2-1. However their fortune with the football gods may be short lived after Evra gloated openly in front of Suarez and a United fan was quoted on a post match radio phone in as saying “Suarez is a filthy racist, like all Uruguayans”. 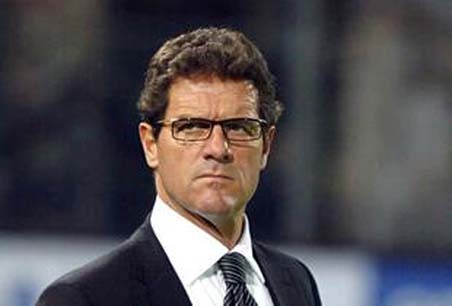 The other big news in England was the shock resignation of Fabio Capello. The national team manager walked away from his post after John Terry was stripped of captaincy. The English now have no coach or captain going into the Euro 2012 finals in a few months. Bookmakers have Tottenham’s Harry Redknapp as favourite to replace Capello as England manager. Redknapp last week was acquitted of offshore tax evasion by the Crown Court. The contract, rumoured to be worth millions, will of course be paid in unmarked bills to Redknapp’s dog’s deposit box in the Cayman islands. Capello will go back to his old job of playing Postman Pat. Zambia took out the African Cup of Nations early this morning with a dramatic 8-7 penalty shoot out against Ivory Coast. The good thing for sports journalists is every team in the tournament is a Cinderella story with a real heart breaking background. Except for that odd year where the Gaddafi family won it. We don’t talk about that. In the A-league there was a return to more nostalgic days when all the former Champions recorded wins – Melbourne Victory, Sydney FC, Newcastle and Brisbane all took maximum points. To keep with the feel, Sun Herald columnist Craig Foster moved away from his controversial articles and returned to simply stating the bleeding obvious. Foster’s point this week was that choosing a football manager is a tough decision. Dizzy stuff.